If I can’t pay the IRS how do you think I can afford a lawyer? Good question. However, sometimes you have to consider your options realistically. The IRS isn’t going away anytime soon and if you owe them money you will often need competent advice. So before answering the question How Can I Afford To Pay My Attorney? Here are some ideas on How Do I Choose The Right Attorney To Handle My Tax Debt Problem. The IRS allows Attorneys, CPAs and Enrolled Agents to represent taxpayers. There are many tax professionals offering their services to taxpayers but many are not attorneys. Why should you consider hiring an attorney to handle your tax debt problem as opposed to other tax professionals? The reason there are many tax professionals offering their services is because around 14 million taxpayers are on the IRS radar and they are pressuring taxpayers for payment. There are certain advantages to hiring an attorney that specializes in tax debt relief. Sometimes Certified Public Accountants (CPAs) offer to represent their clients before the IRS but most of them do not. They are too busy doing what CPAs normally do, including giving advice on tax strategies, preparing returns, complying with IRS regulations, etc. CPAs represent client throughout the year but during certain times of the year they have deadlines and must focus on helping clients file returns. Unless the CPA firm has a dedicated division in their firm, you will often not be able to find a CPA to handle emergencies such as stopping a threatened bank levy or wage garnishment. Handling IRS emergencies is a normal part of what a professional does to handle your tax debt problem. Pass a tax compliance check. There is no educational requirement as attorneys and CPAs are required to have. While there are competent Enrolled Agents, the requirements to become an attorney or CPA are much higher. Additionally attorneys and CPAs work for their clients who pay their professionals to solve their problems. While IRS employees can have the requisite knowledge, their paycheck does not depend on private taxpayers who must go up against the IRS. This pressure on attorneys and CPAs gives these professionals experience that IRS employees don’t have. Benefits of Hiring a Competent Tax Debt Relief Attorney. When you select a competent tax debt relief attorney to handle your tax debt problem, there are certain benefits to taxpayers that neither CPAs nor Enrolled Agents can offer you. Attorney-Client Privilege: When you hire an attorney there is a legal concept known as the attorney-client privilege. This concept protects the taxpayers in that all communications between the attorney and the client are kept strictly confidential. When you are represented by an attorney you can disclose all relevant information to the attorney so that you can get the proper advice in often delicate legal situations. This privilege is not something that a Certified Public Accountant or an Enrolled Agent can offer you. Tax Court Appearance. A tax attorney can not only represent you before the IRS at meetings with the IRS employees, they can respond to IRS notices and letters, and meet with the IRS agents and officers without you being present. But the unique advantage of hiring an attorney is that the attorney can represent you in Tax Court which CPAs and Enrolled Agents cannot do for you. 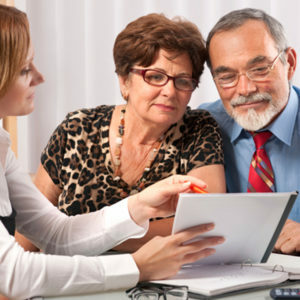 Often Have Better Experience and Background: If you select an attorney that has handled other areas of the law related to IRS tax debt, such as bankruptcy, he or she will usually have the background and experience that will give you a wider variety of solutions available to solve your tax debt problem. Generally, a CPA or an Enrolled Agent will not have the training and experience to give bankruptcy advice or to understand bankruptcy advice from an attorney that usually handles bankruptcy work. Attorneys are also trained and experienced in researching law in various areas and generally spend more time and effort drafting persuasive arguments to government authorities. This is unique to attorneys as opposed to other tax professionals. Like other professionals, when attorneys specialize on one area, such as in handling tax debt cases, the client greatly benefits. Just like you would be better off selecting a brain surgeon, instead of a general physician, to remove a brain tumor, specialization in legal matters greatly benefits the client. Be careful when an attorney lists several areas of the law that he or she practices in. After practicing law for over 40 years I can tell you it is not possible to be competent in many areas of the law. Tax laws are very complex and dabbling in this area, and other legal areas as well, can be dangerous to the client. Not only are tax laws complex, they are constantly in flux based on new court decisions, new legislation, changing regulations and practices as well as lessons learned only by experience. By selecting an attorney specializing in tax debt relief, you will usually find the attorney competent in this area. Additionally, you will usually get more competence at the same or better price. This is because the attorney will have built his or her knowledge in a specialization so that he or she will be able to quickly identify problem areas and legal solutions much more easily than an attorney that doesn’t handle tax debt problems regularly. A specialist attorney usually also has set up systems to handle many similar types of cases in which the law firm regularly handles. This will reduce the cost when a specialist handles your case but at a higher level of competence. Specialists generally make more money than generalists but often it is not because they charge a higher fee, even though a higher fee is justified most of the time. By developing systems, training staff, creating checklists and office policies for handling tax debt relief cases, specialists in this area of the law can make more money because they can handle many more cases at a lower overhead than attorneys that don’t handle tax debt cases regularly. Once you decide to hire an attorney that specializes in tax debt relief cases, being able to afford to pay your attorney is often a concern. Here are some thoughts on this concern. How Can I Afford To Pay My Attorney? Hiring A Competent Tax Debt Relief Attorney. Fixed fees. I recommend hiring an attorney that charges you a set fee for services rather than an hourly rate. My experience is that clients want to know exactly what the attorney is going to charge rather than being surprised with a higher than expected legal bill because the attorney spent more time than predicted. Clients can’t decide if they can afford to pay their attorney if they don’t know how much the legal fees will be! Payment plans. Because legal fees can be more than the client can afford to pay their attorney all at once, ask if the attorney will give accept a payment plan for services. 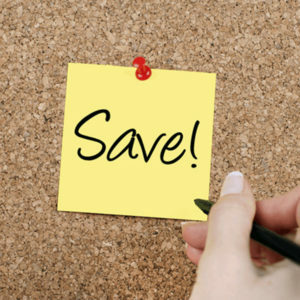 To resolve tax debt cases can take months or even a year or longer in certain situations. There are many times than I will accept payments over a reasonable period of time. Bank drafts or automatic debit of credit card. Many attorneys do not mind allowing payments if they are reasonably secured that payments will be made. If you offer the attorney to automatically draft your bank account or credit card over a reasonable period of time you will greatly increase the chances of being able to afford to pay your attorney. The IRS allows attorney’s fees in your budget. When you offer payment plans to the IRS, either for full or partial payment of your tax debt, the IRS will generally allow you to deduct reasonable monthly fees until your legal fees are paid off. This makes it much easier for you to afford attorney’s fees. If you don’t have legal fees the money you budget for legal fees will then normally have to be paid over to the IRS anyway. There are installment agreements that the IRS allows without you having to justify a budget that includes attorney’s fees. Ask you attorney about this option. Pay your attorney first. When you hire an attorney with experience the attorney can normally delay the date, when you have to start making payments to the IRS, for several months. Many solutions for your IRS tax debt involve monthly payments. During the time period before you are required to start making payments to the IRS you can be making monthly payments to your attorney. Shop around. There are many tax professionals that offer services to resolve your tax debt. Take advantage of free consultations that many professionals offer. Once you are convinced the tax professional is competent and trustworthy then try to get the best deal for the services you need. Most attorneys understand that you can choose another competent professional based on price. While they might not lower their fees you can at least select someone who is reasonable in charging fees. 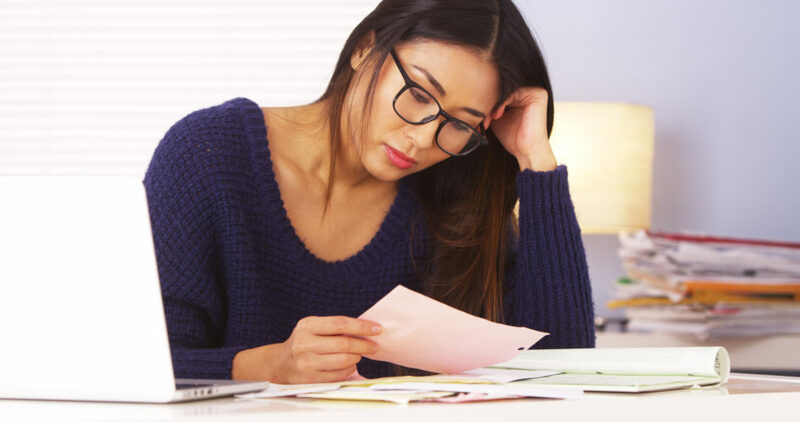 When the IRS starts sending you notices of past due taxes, penalties and interest you should consider hiring a competent tax debt attorney, preferably someone that specializes in this area. Then take the time to discuss with the attorney how you can afford to pay the legal fees to the attorney you have selected. You will often be surprised that you can indeed afford a competent tax debt relief attorney to represent you before the IRS.